17 million trips each week are paid for using mobile or contactless technology, TfL reveals. Over half of all Tube and rail pay as you go journey is made with contactless payment cards or mobile devices, Transport for London has revealed in its latest report. Roughly 17 million journeys are paid for every week using contactless across the capital, the report said, with more than 1.7 billion journeys being made since its launch in September 2014. The new payment method was launched on buses in London in December 2012, with London’s Tube and rail services following two years later. The report also says that contactless has risen from 25 per cent usage two years ago. But it’s not just Tube and rail, buses and trams are also seeing a significant increase in use of contactless options – roughly 45 per cent of all pay as you go journeys are paid for with contactless. 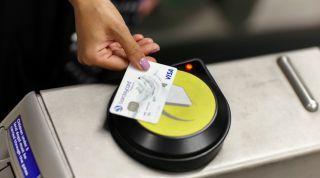 “Contactless ticketing has made travelling in and around London and the South East by bus, Tube or rail quick, convenient and affordable," said Shashi Verma, Chief Technology Officer at TfL.